Team Evesham – Who we are, What we do, and Why we ride. Why does Team Evesham require riders to be members? – Membership enables riders to affiliate with the group, receive communications, benefit from safety efforts, and participate in other activities. – Paid membership enables Team Evesham to support our over 300 members, maintain our website, purchase insurance, and more. What are the benefits of Team Evesham membership? – First and foremost, the opportunity to ride safely with others from all walks of life. – Route planning including arrangement of rest facilities and specialized rides and routes. – Published routes and cue-sheets with downloadable access for members to utilize. – Insurance coverage for members on official Team Evesham rides. – Rides are led by motivated, trained, experienced, and friendly ride leaders. – We build relationships with sponsors to support activities beyond what our membership fee can support. Sponsors provide other benefits to members periodically (gift cards, discounts, etc.). – On behalf of its members and the broader community, the Team advocates for roadway safety at the local and State level and educates riders about being safe on the roads. – The Team provides resources such as safety tips, classes, and other programs. – Members receive invitation to special celebrations (Holiday Party, Super Bowl Party, etc.). Are special events and parties included in the Team membership? – Annual membership covers many benefits but only partially offsets the cost of special events. – Depending on the event, specific event registration costs can be necessary to cover the balance of location, food, and other event related expenses. – In years past Team Evesham participated in as many as 11 Charity Cycling events which many team members felt was far too many and, as a result, the Team now identifies a spring and fall non-profit ride to engage in as a team. This was determined as the most effective way to form a sizable team presence for each event. These rides are determined by the Board annually. How does Team Evesham benefit our immediate and broader community? – Part of our mission is to participate as a Team in supporting other non-profit causes. Over our first ten years our members supported the raising of over $1.6 Million dollars in support of these organizations that do great things in and around our community. – Support for charity rides: American Cancer Society, Foster 100, Bike MS, Move for Mental Health, Pedal for Promise, Bancroft, and others over the years. – Team members participate in Community volunteer efforts year around including Senior Holiday meal program and road cleanups. – Team Evesham members are patrons of local businesses before, during and after our rides. – Our members and activities support a range of other community groups. How is Team Evesham organized? 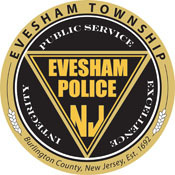 – Team Evesham is incorporated as a registered 501(c)(3) nonprofit. Being a registered, charitable nonprofit aligns our philanthropic mission and allows us to support other charities, which distinguishes us from other ride groups in the area. – Team Evesham began as part of the Evesham Celebrations Foundation. We separated from the foundation in order to expand membership to other towns and to expand insurance coverage for all of our organized rides. 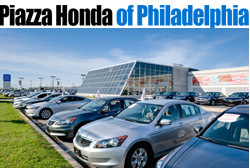 – We are registered with the IRS, NJ Department of Revenue and the NJ Attorney General. This triple layer of regulation requires that we don’t support political candidates and that we don’t lobby. – The operations of the Team are managed by the all volunteer Board of Trustees. – The Board manages operations, non-profit filings, budgeting, event planning, communications, sponsorships, team apparel design, vendors, and other ongoing concerns of the group. – The Board oversees delivery on the Team’s mission statement (Team Evesham Mission Statement) supported by team leaders and members who ride with us. – We are a team, not just a ‘club’ to have the formality to have rules around safety, insurance coverage, etc. How does Team Evesham communicate with members? – Team Evesham communicates with members through our website and email communications. – Team communication does not utilize other social media such as Facebook messenger. We are committed to team communications that can be easily managed with our limited resources and moderated for profanity, negative language, etc. to stay appropriate for all ages. – Most non-profits who employ such medium maintain staff to manage and moderate them which Team Evesham cannot provide. – Recognizing the potential need for last minute communication about events, the Team is currently looking at options to address that need. Does Team Evesham have rules and requirements? – Yes. Our safety rules are posted on the website ( Team Evesham safety ) and maintenance of membership in good standing requires following of these requirements on all rides. They are established for everyone’s safety. – First, regularly exhibit safe and supportive riding habits. – Team Evesham is looking for ride leaders who demonstrate a commitment to safe riding for themselves, support for other rider’s efforts, and support for the team’s effort to consistently deliver the kind of experience that riders want to return too once they have participated. – If selected as a potential ride leader, the Team will provide rider leader training to help potential leaders understand and step into that role. Team Evesham does not allow riders to join a ride already in progress. We also only accept guest riders on certain rides – Why? – Safety and other announcements about the day’s ride are shared before the start. When riders aren’t present they aren’t aware of all information pertinent to a safe and successful ride. – Rider leaders are taught to understand who is in their group, how many riders are present, etc. Riders joining mid-ride pose a challenge to what ride leaders need to do in their roles. – Insurance costs for the Team are kept low because riders agree to follow certain rules that promote an organized, safe ride ( Team Evesham safety ). – Guest riders: Guest riders are welcome on our Sunday rides according the rules posted on our website. Sunday rides have multiple ride leaders present to make sure new riders understand how we ride, to monitor new riders, and keep the group safe. How is the Board of Trustees chosen? – As a registered 501(c)(3) nonprofit, Team Evesham operations are overseen by a Board of Trustees and governed by our adopted By-Laws. – Trustees are selected annually to fill vacancies and rotating terms as needed. – The Team Evesham Board, similar to many non-profit boards, is a ‘working’ board where selected board members accept the obligation to oversee the running of operations and provide their personal time and effort to make sure events, rides and other activities can be provided successfully to members. – Board members are selected to ensure the Board benefits from a balance of backgrounds and skill sets among members as well as maintaining a volunteer board that contributes and works together toward achievement of the Team’s mission statement. – Board members serve a two year term and are voted on annually when positions are open, the nominating committee notifies board members of candidates ten days prior to an election meeting. How do I become a Board member and/or committee member? – If you have an interest in serving as a Board or committee member, express your interest to one of the serving Board members or officers. Candidates will be considered based on their fit for the role and the needs of the Board, or a particular committee, at that time.